12 Weeks of Christmas Treats Blog Hop – Christmas In July! 12 Weeks of Christmas Treats is an annual recipe roundup and blog hop, where food bloggers share their recipes for seasonal sweet treats and holiday dessert recipes. 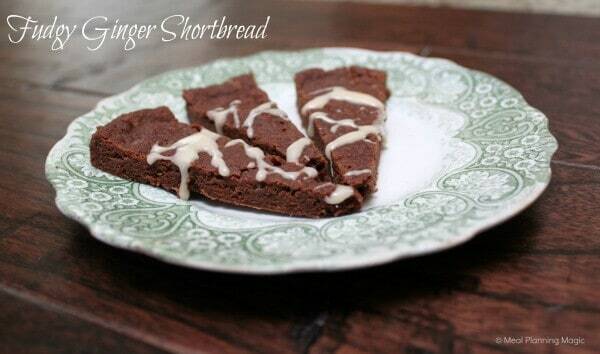 This is one of the treats I made for last year’s blog hop. If you’re thinking I’m crazy for thinking about Christmas cooking in the middle of summer, you’re probably right. Well, partly. 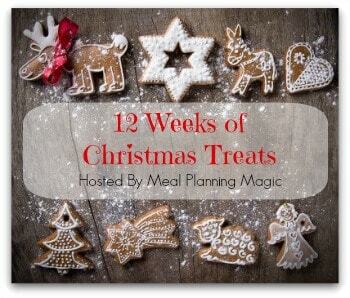 You see, it’s about this time of year that I start thinking about the 12 Weeks of Christmas Treats Blog Hop. This year will mark the 3rd year that I’ve hosted this blog hop, and it is always lots of fun! SO many great Christmas recipes are shared by bloggers from all over. But it’s also about this time of year that I pull out my Holiday Notebook in an attempt to be a bit more organized for the holidays. The holidays always seem to come up fast! I created my Holiday Notebook a few years ago and it’s become a great resource to help me streamline our preparations. It’s probably no surprise that I’ve gotten my meal preparation, planning and cookie/sweet baking down to a virtual science. I am a meal planner, you know! As for the rest, some years are better than others. So in the spirit of planning and being that it IS Christmas in July (you know, the 25th), I’m announcing the 3rd Annual 12 Weeks of Christmas Treats Blog Hop. Each week, 25-30 bloggers link up their recipes and share some delicious inspiration for all those holiday gatherings. We start at the end of September and continue each week for 12 weeks. I’ll admit, I was a bit on the fence about continuing this challenge because it is a lot of baking! But I do enjoy it and since my daughter has gotten into baking this summer (and doing a very fine job of it I might add), she has assured me she will be helping. So be looking for a recipe or two (or more) from her that I’ll be sharing. Fill out the form below and I’ll send you more details in late August/early September with all the link codes, graphic, etc. 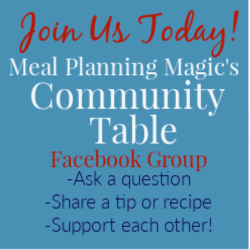 But the guidelines are simple: –Each week, on Wednesdays (starting September 25th), make a different Christmas treat and blog about it. It can be a cookie or perhaps something (like spiced nuts) that you might serve at a holiday gathering. –Link up each week using the link code I’ll provide via email (look for emails the first week of September). –Interested but not sure you can commit to ALL 12 Weeks? That’s ok. Go ahead and fill out the form anyway so you’re in the loop on the weeks you CAN participate! Try to do a minimum of six weeks though! Bake along with us! Hopefully you’ll find some inspiration to get some baking done early and in the freezer. And I’ve set up a 12 Weeks of Christmas Treats Pinterest board to follow just for many of the treats you’ll find on the hop! Or you can subscribe to receive emails or blog reader updates by clicking here, following my page on Facebook, or follow me on Twitter (use the hashtag #12wksxmastreats). Hope you’ll join in the fun! I love this time of year! there’s so many new things I want to try for this year! looking forward to all the yummy recipes, tips & insperation! Great! Glad to have you join in again this year! I’ve been itching to start holiday planning and baking…can’t wait to join you again this year! This sounds very interesting, however, I am new to computers and I don’t know what a BLOG is. I do not belong to Facebook, twitter, or any of the other sites you mentioned. Does that me that I can’t join in on this? Toni, a blog is what my site is. From the words web-log where I write posts and share info. and thoughts, etc. If you are not a blogger/writer, then you can follow along by subscribing by email. Just click on the Contact Me page tab above or the little picture that is an orange square with white curves in it so you can enter your email address to receive an email whenever I post/add something new.